VietNamNet Bridge – Soul Bar Hanoi will organise nights of live music featuring international artists, free of charge. A show presenting a mix of soul and jazz covers by Naomi and Traolach McSwiney, a brother sister duo from Ireland, will take place on August 31. Naomi is an emerging singer songwriter and is accompanied on acoustic guitar by her brother who plays with a very original and rhythmic style. She has written and arranged a number of original songs. Her expressive melodies display lyrical depth and her powerful, soulful vocals are sure to draw listeners in. 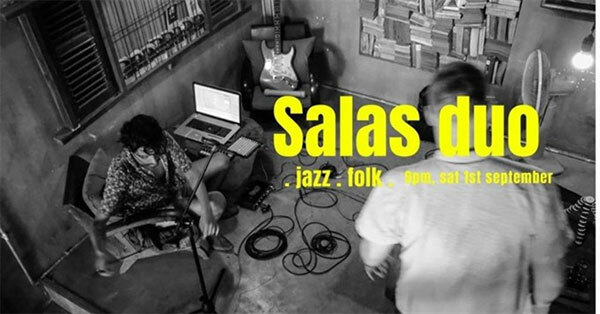 A jazz/folk concert featuring Felipe Salas Sandoval will take place on September 1. Sandoval is a composer, performer, producer and sound designer. His most recent solo project, SalaS, blends melodies and rhythms of South American Folk with popular music, combining electric guitar, voice and other musical instruments with music technology, loop techniques and electronic music to bring to your ears an interesting fusion of music and atmospheres. Soul Bar is located at No 21, Lane 12 Dang Thai Mai Street, Tay Ho District.